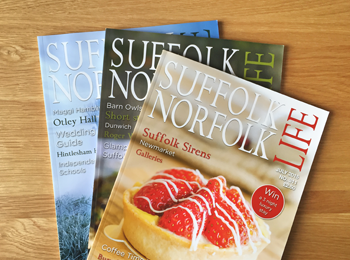 A subscription to Suffolk Norfolk Life magazine is a monthly read packed full of features about everything that makes Suffolk and Norfolk so special. Suffolk Norfolk Life magazine is also East Anglia's oldest county magazine and has been running for nearly 30 years. Every issue of Suffolk Norfolk Life magazine is full of tradition, local history, local information, car reviews, great food and drink guides to keep readers updated on all the best places to dine, delicious recipes and book reviews. Suffolk Norfolk Life magazine also features music notes, bygone memories, local and national events, interior design advice to keep you home looking modern and smart and a wide range of regular features you're sure to find plenty of interesting articles. Treat a friend or relative for their birthday or Christmas with a gift that lasts all year. With each gift subscription you can choose the name and address to send to, the issue you would like to begin with, and include a personalised message on the gift card with the first issue. 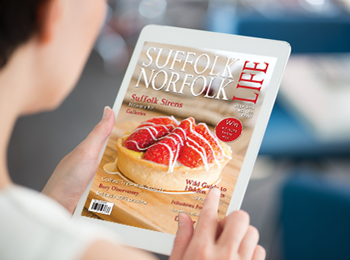 Separate from the printed version of the magazine, you can read Suffolk Norfolk Life online on your desktop PC or Mac, and also on your mobile tablet and smartphones. gift card with the first issue. Login with one account to access all your issues on PC, Mac, tablet and smartphones.